MCYO is proud to have so many talented musicians in its orchestras. As you may know, many of our most talented and dedicated students would not be able to participate in our stellar program if need-based tuition and lesson assistance were not available. In order to ensure that our program attracts the best musicians, MCYO needs to continually build up funds for scholarship aide. One such fund, started this year, is the Irving and Janet Rosenberg Memorial Scholarship Fund for Aspiring Musicians. MCYO parents know how significant being a member of MCYO is for their child. 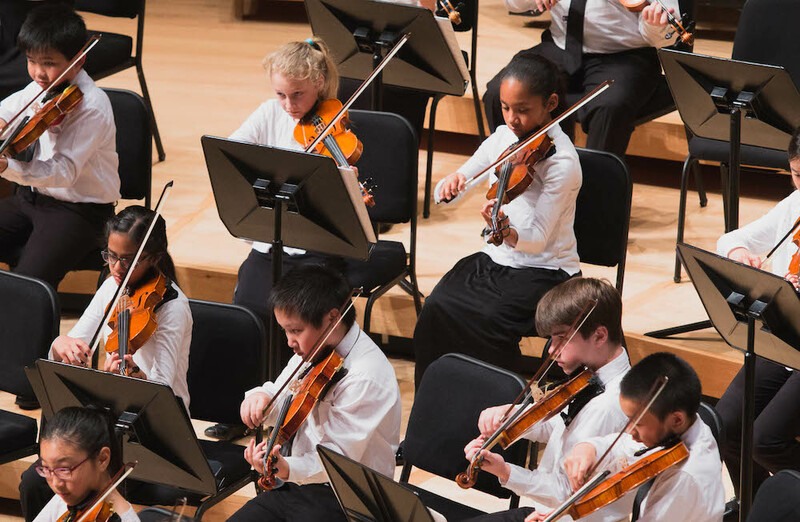 Playing challenging orchestral repertoire with gifted peers in a world-class music facility is an unmatched musical opportunity. Donate to the scholarship fund and give another talented youngster the same opportunity.